This is how Paths to Math looks like. 1. First choose the Module you need, e.g Algebra. 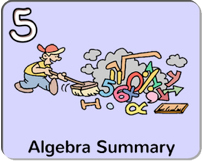 In the last chapter of Algebra there is a table From Paths to Math to Common Core, from there you can see the connection of pages to the Common Core . Start with the Basic Path, it is best for students in the beginning. As you advance you can individualize more with the pages Advanced and More Help. When you are more familiar with the material and your group, you can use different paths for smaller groups or selected students. Start with Basic Path and enjoy learning and teaching in you classes! 2. In teachers tips you can look ahead for ideas on how to teach your lessons. You can receive tips on what learning method to use: Individual work, Pair-share or group activities. What material is needed during the lessons: Calculators, Stopwatches, or unconventional measuring tools. You are able save your notes on the NOTE –area. 3. What kind of technology environment do you have? 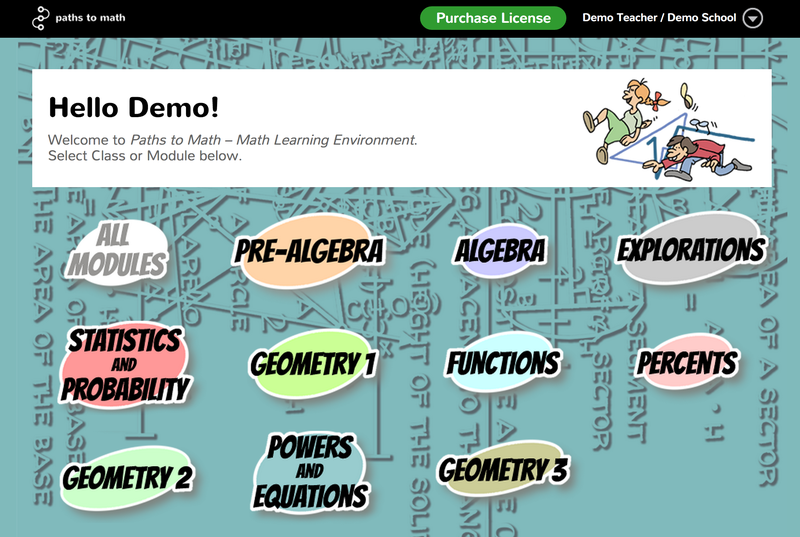 Can Paths to Math be used if a teacher has only one PC? YES. Can a teacher us Paths to Math if there is an interactive board in classroom with or without tablets? YES. If there are no computers in the classroom, can the teacher print any page from the lesson? YES. If there is one PC in the classroom can it be used as a checkpoint for answers, and or for special support needing student? YES. If there is an interactive table, can the entire class watch the videos together, and solve together interactive portions of the lesson, discuss problems and check the answers while working at different speeds? YES. If there are sufficient amount of tablets is it easier to develop the learning environment for the needs of individuals while all use paths to math? YES, Students can even use their smartphones. 4. Interactive parts and student videos are placed where they support the learning of mathematical concept. You recognize them from their own icon, logo. You can use them during the lessons or leave them for students to study and practice in home.